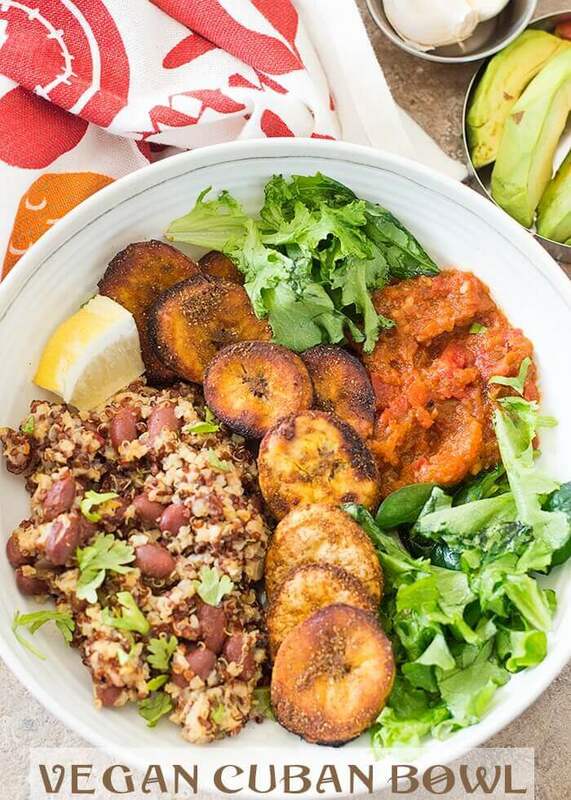 A healthy and hearty Cuban bowl made with ripe plantains. Served over a side of quinoa with red beans and homemade sofrito. Perfect Meatless Lunch any day. 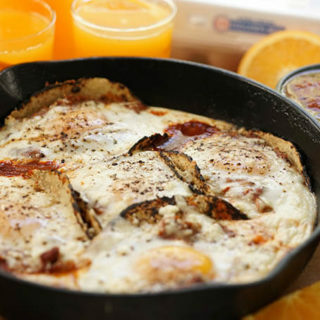 Today I am honored to have my very good friend, accomplished recipe developer and fellow blogger Rini from Healing Tomato stop by to share a delicious recipe with you! I’ve known Rini for about three years. She’s a tech kinda gal loving the world of food and food blogging. I’m pretty sure I’ve asked her every question under the sun regarding blogging. She is kind and patient enough to slow down and explain it in a way that even I can understand it! Thank you Rini for stopping by to share this new culinary flavor with us! 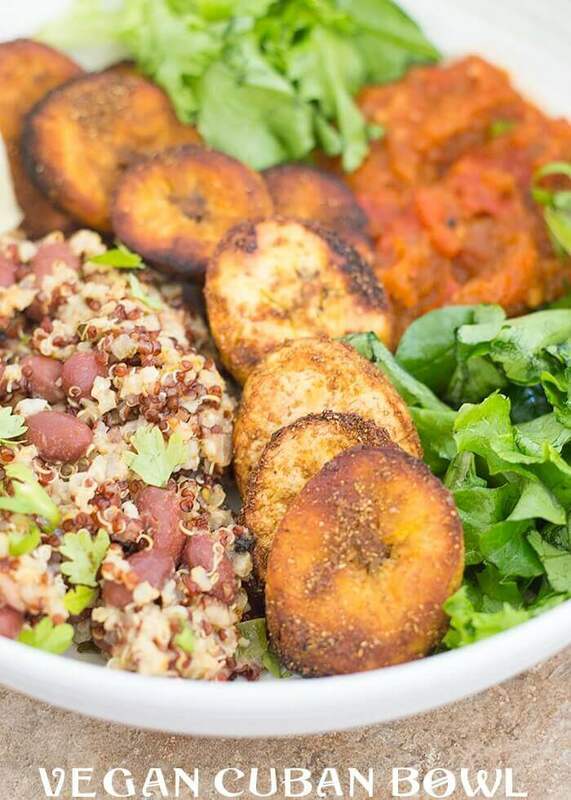 A hearty Cuban bowl with Plaintains, served over a side of quinoa with red beans and homemade sofrito. Hello readers of Bowl-Me-Over. 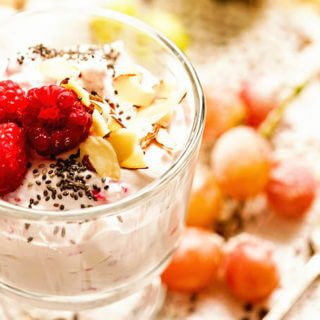 I am delighted to get to know you and share my recipes. Debra has always praised her readers, so, I know I am in good company. Today, I want to share my recipe for a Cuban bowl that is vegan and delicious. I wanted to make sure that it was easy to make and you don’t have to spend hours in the kitchen making it. Subscribe to the blog and receive a FREE Conversion Chart! Being in Florida, I have been exposed to a huge Latin population. It has been an amazing cultural experience for me and I have come to learn so much about their flavors. Their their zest for life and food has made a huge impact on me. Everything they do and make has definitely seeped into my cooking style (in a very good way). I find myself eavesdropping on conversations in the supermarket or in big box stores. They are always talking about what they are making for dinner or what they are going to feed their guests. I have found that “Arroz con pollo” is a family favorite and even “Arroz con frijoles”. 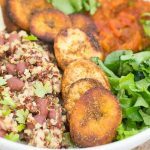 A simple Vegan Cuban bowl made with plantains and Quinoa. On a recent trip to a local Spanish grocery store, I heard two women talk about Picadillo. I couldn’t break out my phone fast enough and google it. I think I must have stood for 30 minutes in the same spot as I read all these amazing things about this Cuban staple. Want all of my tips and tricks to make the BEST Soups and Stews, click here for your FREE guide! I have to say that the final dish just made me lick my plate. Ever since then, I have become obsessed with making Cuban food. This Cuban bowl is just my latest obsession. Plantains are a big part of Cuban food, so, I thought I would include it in this recipe. Quinoa and red beans lighten up this delicious bowl! I thought you might like quinoa and red beans instead of the rice and beans. It is lighter so that makes it just right for lunch. I hope you like this recipe and please feel free to let me know what you think of Cuban food. 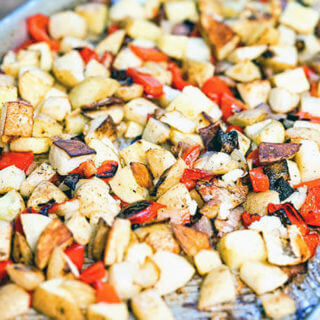 More delicious vegan and vegetarian recipes I know you’ll love! In a pan, add the mixture and heat on medium heat for about 5 minutes or until the water has dissipated. Set aside to let it cool. Add the salt and cook the greens for 30 more seconds. What’s for dinner tonight? 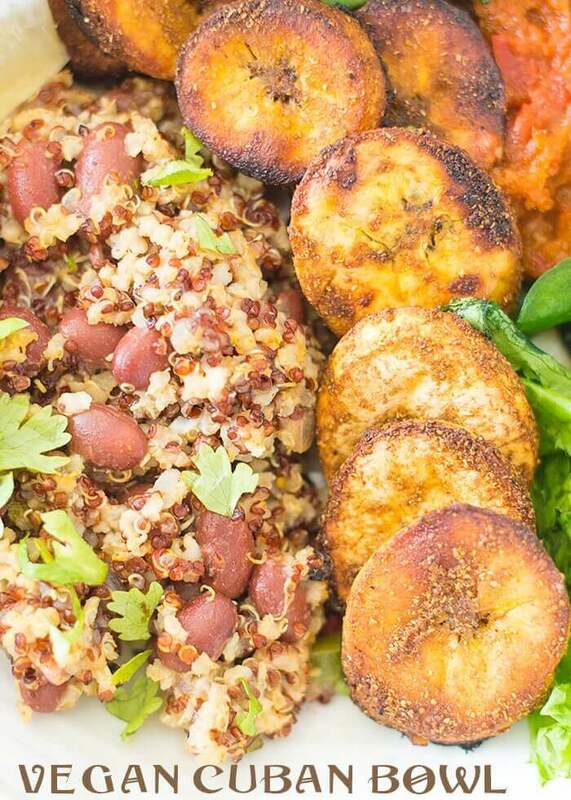 How about a healthy and hearty Cuban bowl made with ripe plantains. A guest post from Healing Tomato! For more delicious meals in a bowl head click here! Thank you so much for letting me post this recipe and your kind words. I am so glad to come to know you over the last 3 years. You may have learned a few things from me, but, I am willing to bet that I learned a whole lot more from you. Your traits like positivity, patience and passion for good food have made an impact on me. And your live videos are a huge inspiration. Thank you for everything. 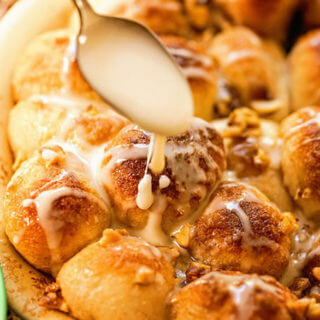 You are so welcome, I’m honored to have this recipe on my site! Patience…. I don’t know about that 😀 , but I do know I truly value your knowledge and our friendship! Thank you my friend, I’m so excited to give this recipe a try and share it with everyone! I am seriously going to try this! I love Cuban food and this bowl is full of some of my favorites. Wonderful, enjoy Patty! I know you’ll really enjoy it – so much big flavor! This sounds so flavorful! And those plantains are calling my name! I am so lucky to have Rini offer this meal up as a guest post! That gal is amazing and her talents in recipe development are really something! Thanks Liza, I hope you get to enjoy this meal!!! Do you know I haven’t had plantains yet! I know, crazy! 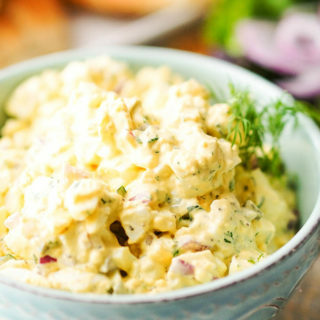 This recipe is absolutely great and I will be having my first taste very soon. Thanks! You’re not alone Ginny, this will be the first for me – I just can’t wait to dive into this bowl of goodness!!! I have never tried Cuban food, but if this is what it is like then I really need to. I love plantain. Absolutely, one order up Dannii, enjoy! And thank you for stopping by! This looks full of flavour and so filling and hearty. I love the flavour of Cuban foods and this looks amazing. Love that this meal is easy to make too. Pinning and saving this one to try. Wonderful Marie! Thanks for the 5 stars and enjoy this delicious meal!!! This looks like a fun new food to make for my family. We tried a Cuban restaurant a few months ago and loved the flavors. Can’t wait to try this. 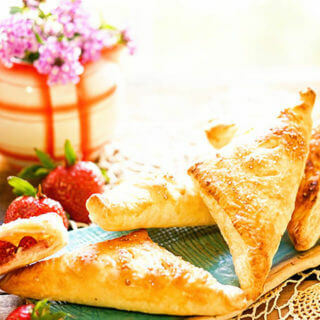 How fun, love trying new flavors and foods! Thanks Sandi, I hope you really enjoy this bowl! !